I love space. Do you love space? Post news or pictures or anything you find that is interesting, so the other space-heads on Bosskey can immerse in it! This is, as far as I can tell, the north pole of Saturn. This is a hexagonal storm. Go figure. It's not quite as big as the red spot on Jupiter, but it is in a lot of ways much more intriguing. I mean, it's freaking not anywhere near circular or oval. holy **** that's a cool image. I haven't seen that one before. epic! Spaceweather is the website I go to the most. They have up to date news on whats going on with the sun, meteor showers and also sun spots and recent incoming cme's. A very interesting and informative site. My Orion Xt8-it looks big, cuz well it is, it's about 5ft tall and it weighs about 45lbs. Which is better than my old Xt10, which weighs about 60lbs. I can at least take this one places and it's not too bad to travel with. I'll post images of planets and such once I get that awesome camera. Maybe some high rez videos of Jupiter and it's moons in the coming months. Does anyone else enjoy looking at the night sky? I love to talk about it! Hey thanks for all these links guys, I like reading about cool stuff, and that hexagon storm is one of the coolest things I've ever seen. I had a lot of space books and stuff as a kid, and tons of Space lego. Space videogames always intrigued me the most. It's a forgotten passion for me. I got really into it again lately after looking through a telescope for the first time when i was out in the countryside ^^ I saw jupiter and it was awesome! I love looking at the night sky, when I'm not in school (which will be over with very soon) I live in a rural area where the view of the stars is great. I'm hoping that after I graduate and work for a bit, I can set some money aside to really delve into my interest of astronomy. I have a friend who is also very keen on astronomy-- she nearly made it her major before she decided to stick to fine arts, but it is awesome having her around because I always have someone to talk to about it. I've been looking at Venus and Jupiter this entire winter. I've never used a telescope though. Ive always enjoyed looking at the sky and it wasn't until my husband and I moved near a higher elevation away from the city that I decided I would persue this hobby. And yes it is very expensive. 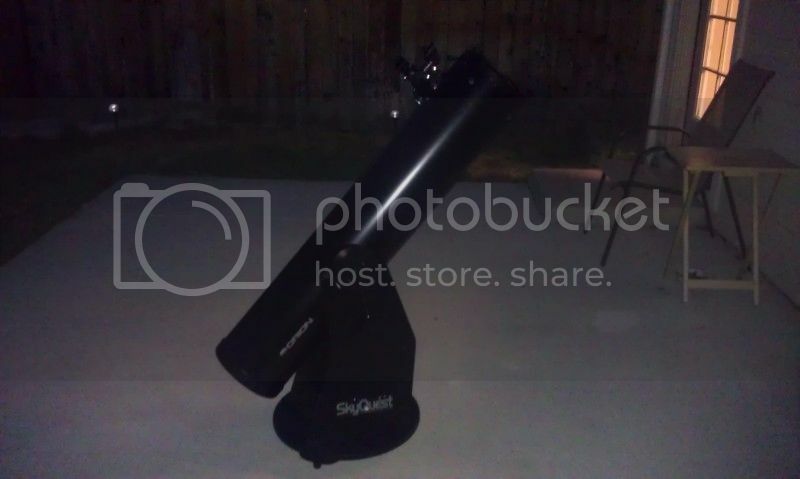 The 2 Telescopes I have are both over $1,000.00 and yet they're still considered beginner-intermediate telescopes. And the lenses and filter go from $30.00-up. Depending on the aperature of your telescope some filters can run you over $200.00. So yes its a very expensive hobby. But I'm old and I've decided that once we purchase our land where we live (thinking of purchasing 10 acres or more) I'm going to build an observatory. We live in a high mountain area so I'm looking forward to purchasing some land with a least a couple hilly mountain sides. BTW-On the 21st-22nd of this month is the Lyrid Meteor Shower, if you can find a low light polluted area you should be able to see some good shooting meteors, after midnight is best! The Lyrid Meteor shower peaks tonight and tomorrow night (April 20-21st) It is in the constellation Lyra and although this isn't as brilliant of a show as the August nights Perseid's Meteor shower, due to the lack of moon, it should produce some nice fireballs, and some good shooting stars. The Lyrids normally give about 10-20 meteors per hour, but they are also known for their uncommon surges of 100 per hour! Again, due to the new moon this is a really great time to check out a nice meteor shower. If you only glimpse one an hour, it's worth it. So if the skies are clear in your area check them out. Look to the constellation Lyra in the north-eastern sky above the brightest star in the constellation-Vega, and you just might see some pretty cool shooting stars! A little before midnight and after is the perfect time. Damn! The clouds will hide all this from me tonight. It's a conspiracy! The government or the templars or some random toothpaste company is behind it! From the sonic boom and the explosion it caused I doubt there are many bits left of it. But good luck to them lol. A couple of these relate to space. And have fantastic photos and newsclippings. I followed em all. Hey Guys! SPACE NEWS UPDATE! Please remember if you are in these zones DO NOT LOOK UP AT THE ECLIPSE WITH YOUR NAKED EYE. (You have no idea how many people I see do this ><) Purchase a set of Solar sunglasses, they are very cheap and most cities that have the best views or a decent observatory will be selliing them. You can also purchase them online. :) I'll have pictures up after it happens! Isn't there a way to make solar sunglasses?